A few styling tweaks, badges and trim nuances aside the Peugeot 807 is the same vehicle as the Citroen C8 and Fiat's Ulysse. The Peugeot 807 (replacing the 806 in 2002) is the product of mixed parentage, like its predecessor. A few styling tweaks, badges and trim nuances aside the Peugeot 807 is the same vehicle as the Citroen C8 and Fiat's Ulysse. It's a good looker though, Peugeot managing to make it look distinct from its French and Italian relatives, the interior in particular feeling a bit smarter than its most direct rivals. Those aside the Peugeot competes in the large MPV segment against rivals like Ford's S-Max and Galaxy, Renault's now discontinued Espace and a host of other large MPV models. A large part of the Peugeot's appeal lies in the sliding rear side doors that give excellent access to its five rear seats. They're electrically powered on some upmarket models, though the entire range comes with a comprehensive level of specification. What you'll not find in Ireland is a huge number of cars to pick from; at the time of writing this, only 10 examples were offered in our classifieds, and it's likely you'd have greater luck finding examples of its Fiat or Citroen relations. The Peugeot drives well enough given its people-carrying brief, the range of engines it's offered with in other markets being irrelevant, as you'll only find it here fitted with a 2.0-litre HDi unit with either 110- or 120hp. Either is adequate, though use all those seats and you might find both performance and economy suffer a good bit. The gears are shifted by a neat dash-mounted gearlever, it just one of many tricks Peugeot has used to liberate as much interior space as possible. There's only one, really, so it's the best buy. The 807 in 2.0-litre HDi form. Trims vary slightly depending on the year, but you can expect all to offer at least air conditioning, alloy wheels and electric windows all-round. They're all seven-seaters, too. 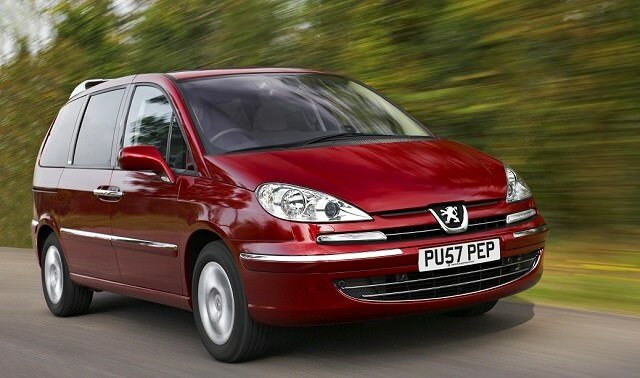 The Peugeot 807 is a useful, if rare, way to haul you and your family around in comfort, though you're more likely to find it easier sourcing one of its near identical relations from Citroen or Fiat - the 807 barely registering in new car buyers' radar new and that's reflected in the used market. Its age is betrayed by relatively poor economy, which is only middling given what's on offer from rivals. Find one cheap and it'll do you good service, but there are better choices out there.